Big Evil Corporation have released their puzzle-platformer that really is rather retro and not just because of the style. It was released today for Linux but it's also a SEGA Mega Drive game too. The Steam release even includes a Mega Drive ROM file. The release follows a successful Kickstarter campaign back in 2016, where the developer managed to get over £50K in funding from nearly 900 backers. I've tested it for a while and it does seem to work quite nicely, the Steam Controller even works out of the box which was a little surprising. It has a nice in-game manual too, which is pretty helpful as like the classics, it doesn't really tell you anything directly in the game. I think it definately captures the spirit of the true classics, as someone who played endless hours until dark on their Mega Drive I certainly approve of this. Find it on Steam right now. Wow, impressive. 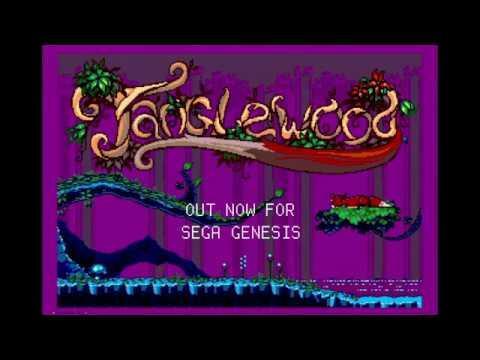 So they have written their own Sega Genesis emulator as well while being able to add achievements from the rom. Instabought this one. Even stranger if that would have to do with the recent furry trend. For me at least. I missed the whole Sega era, but this still looks pretty good. I hope someone does a review of the game without nostalgia glasses on.